Made from real mink and completely cruelty-free. 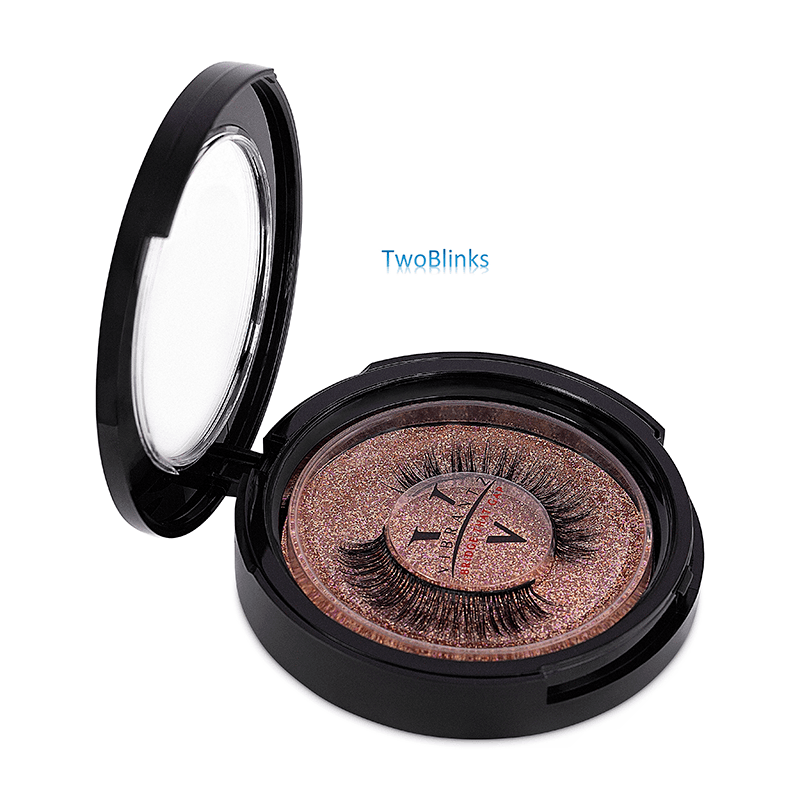 Our range includes Cotton, Silk, 3D Mink Lashes which are carefully hand crafted with a invisible cotton & silk band and lightweight mink hairs, creates a subtle, natural finish that’s effortlessly glamorous. A feathery, fluttering look. They’re soft, romantic and ideal for everyday enhancement. 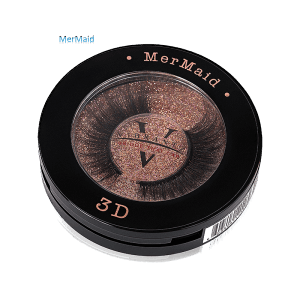 Vibrantz Cosmetics false eyelashes can be re-used up to 15 to 20 times (depending on care), to dramatically enhance your eyes. 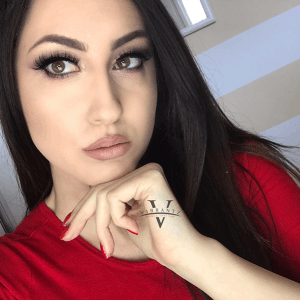 Vibrantz Lashes are universally flattering, with layered eyelashes of varying lengths on an invisible cotton band, and a feathery, fluttering look. They’re soft, romantic and infinitely wearable. Knotted and feathered by hand adds volume and definition. Created with super-soft real mink hair and a highly durable band, to achieve thinner volume on a Faux mink which are more softer. This pair of eyelash is handcrafted. 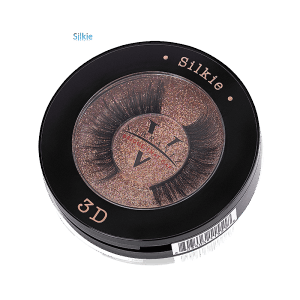 These lashes are very luscious and add medium volume to any makeup look. Can be worn for a slight cat eye look. They are very seductive and natural at the same time. Ideal for regular users to create a subtle drama. Add a few coats of mascara to add up the drama. Reusable up to 15-20 times. Cruelty-free. Suitable for all eye-shapes, they are ideal for regular wear or a special occasion. Each box contains one pair of eyelashes. Apply a few drops prior to styling. Vibrantz® Argan Oil can be applied to the hair at any time. After shower/bath or before. Use as a pre perm for ease of winding and conditioning. Apply to hair when dry before using straightner to give added protection and shine. Apply to hair when dry hair, like a serum for softness and added shine. Massaging a few drops of this Vibrantz Argan oil into the hair after shampooing guarantees instantly noticeable results. For external use only. Avoid contact with eyes. Do not apply to broken or irritated skin. If sensitivity occurs, discontinue use. Keep out of reach of children. Store in a cool & dry place. Lashes should be applied when makeup is complete and lashes have been given one or two coats of mascara. Make sure your own lashes are separate, use a lash comb if necessary. Check fit: Carefully remove the lashes from the tray and check length against your eye. Lashes should begin a little from the inside corner of the eye and not extend beyond the outside corner. 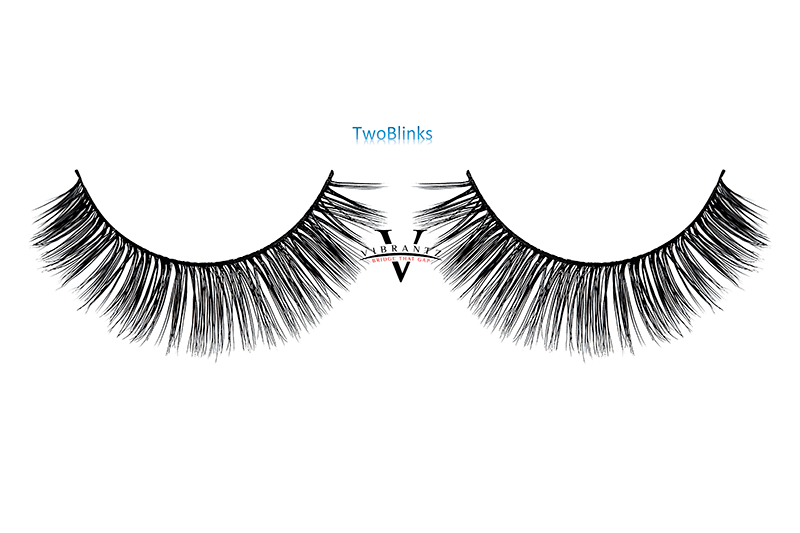 If too wide trim lashes one or two at a time from the outside edge until fit is perfect. Apply Lash Adhesive: Place the eyelash back on the tray. Apply a line of Lash adhesive to the lash band and wait at least 30 seconds until the Lash adhesive is a little gummy. Lash adhesive won’t irritate your eyes, but keep the applicator away from the eye itself. Fixing the Lash: Look down into a mirror and hold lash as closely as possible to the natural lash line. 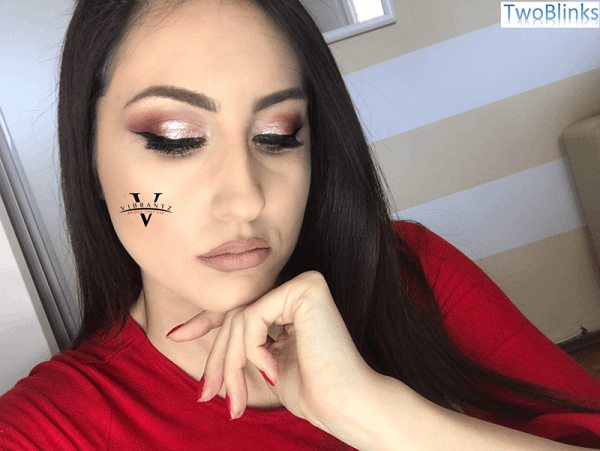 Vibrantz lashes fix to the skin just above your natural lashes, not to them. Press gently across the entire lash holding at the ends for a few seconds. Additional make-up can be applied if required. Yes they are real mink 100% natural handcrafted. Vibrantz Lashes are made of mink hair, making them feather light, comfortable and very natural looking. 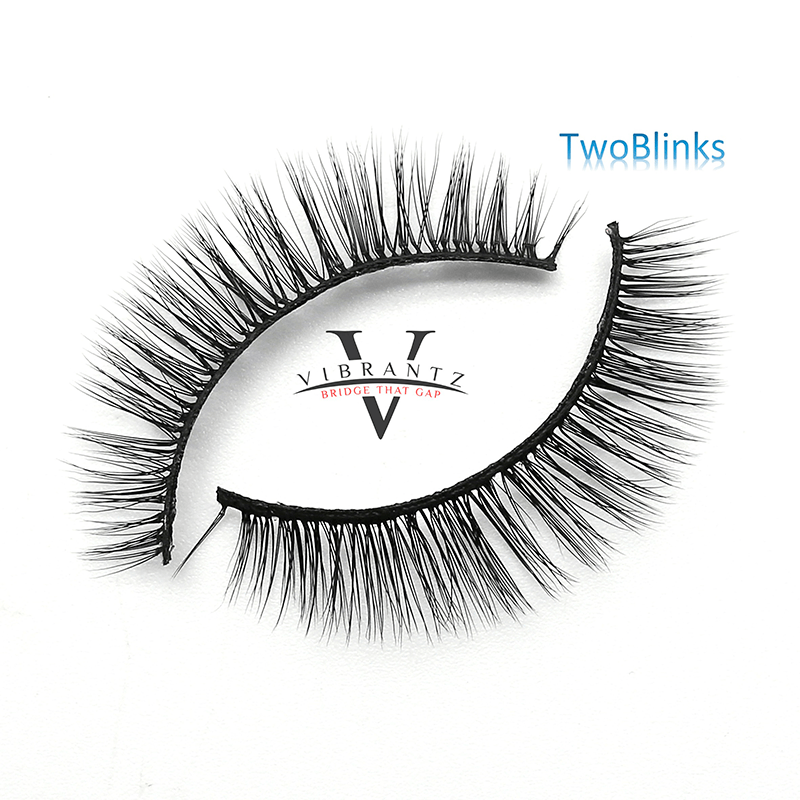 Vibrantz Mink Lashes are much more durable than synthetic/ PBT fiber lashes! 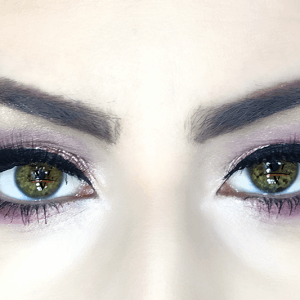 Why choose Vibrantz Lashes over eyelash extensions? To get your eyelash extensions done, you need to go to the beauty salon, where individual (mink) hairs are glued to your own natural lashes. This could take 2-3 hours and will cost you between 70 and 90 Pounds. On top of that you will have to go to the salon every 2-3 weeks for a touch-up. 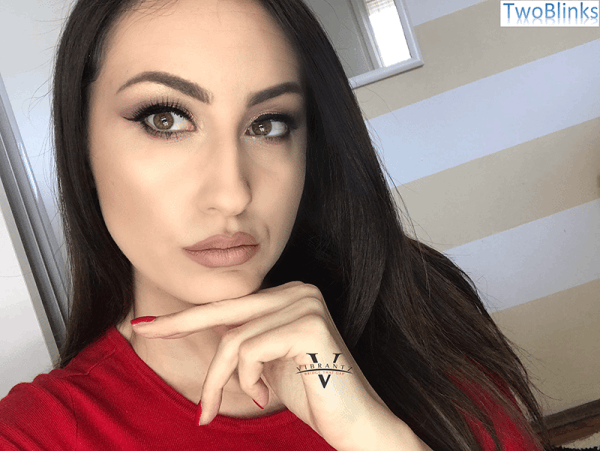 Vibrantz offers the same beautiful, natural look as professional eyelash extensions, without spending a fortune and hours at the beauty salon. Vibrantz lashes are high-quality strip lashes made of 100% Siberian mink hair. I am new to fake eyelashes, why should I choose Vibrantz lashes over mascara? If your own lashes are sparse and short, you will not be able to get a lot of length and volume by just using mascara. Vibrantz 100% mink hair eyelashes will give you long, luscious lashes, without compromising the natural look. To make it even better: we offer many styles, ranging from natural to voluminous lashes. 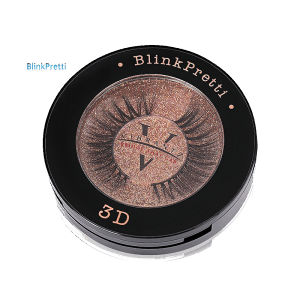 How are Vibrantz lashes made? Vibrantz eyelashes are individually handmade by one of the finest lash production facilities in the world. 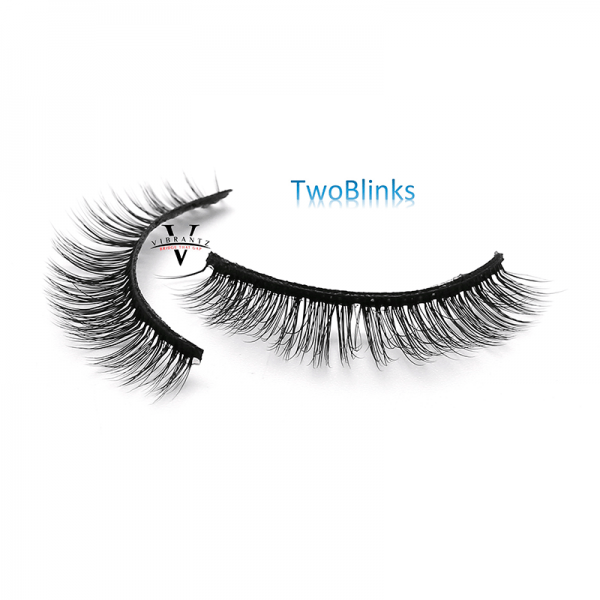 Our lashes are made of the high-quality Siberian mink hair and cotton, silk, 3D and 6D. Our eyelash hair is collected, washed and sterilized in accordance with European guidelines. 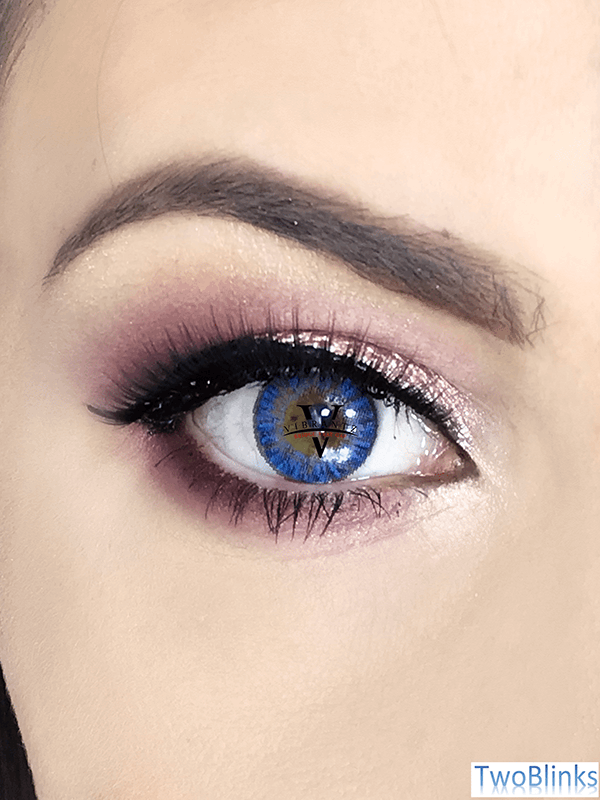 I wear contacts; can I still wear Vibrantz eye lashes? Yes. 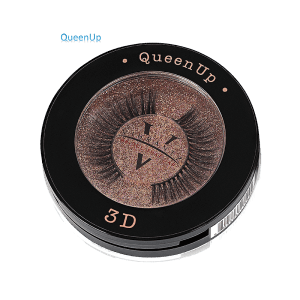 Vibrantz eyelashes are applied right above your own lash line. Our lashes will not come in contact with your contact lenses. Are my Vibrantz really reusable? Yes, they certainly are! Please read description.